Apollo rubber spool-style expansion joints are available in a wide variety of elastomers, sizes configurations, and working pressures. For example, neoprene is supplied where conformance to U.S. Coast Guard requirement 46FR-5660-25(e) is necessary. Viton is available for high temperatures. Natural rubber, PTFE, and other compounds can be furnished for special requirements. Standard flange drilling 150# ASA - others available. See below for movements and working pressures. 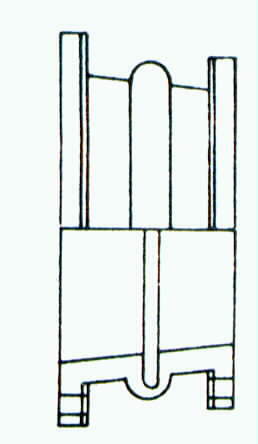 Designed to connect piping of unequal dimensions, otherwise same as Style 67 below. 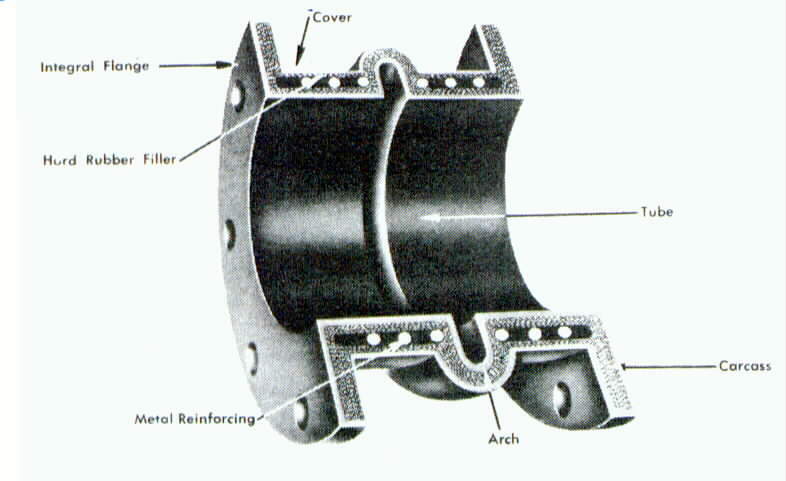 Concentric expansion joints have the axis of each end concentric with the other; eccentric joints have the axis of each end offset from the other. Designed to connect piping of equal diameters for the elimination of vibration, stress and noise. Style 67 is normally supplied with a single unfilled arch which is suitable for most standard applications. Double or triple arches are offered to accommodate movements greater than those which a single arch is capable of. Filled arches can be specified for slurry service or to reduce turbulence. Style 67 expansion joints are suitable for full vacuum service. Style 61 is a rubber pipe with a smooth, abrasion-resistant rubber lining used to substantially reduce noise and vibration in rigid metal pipe systems. APOLLO can design a complete custom system using straight units, bends, and tapers. Style 61-1 is available for service to 150 PSI. Style 61-2 can be used up to 250 PSI. 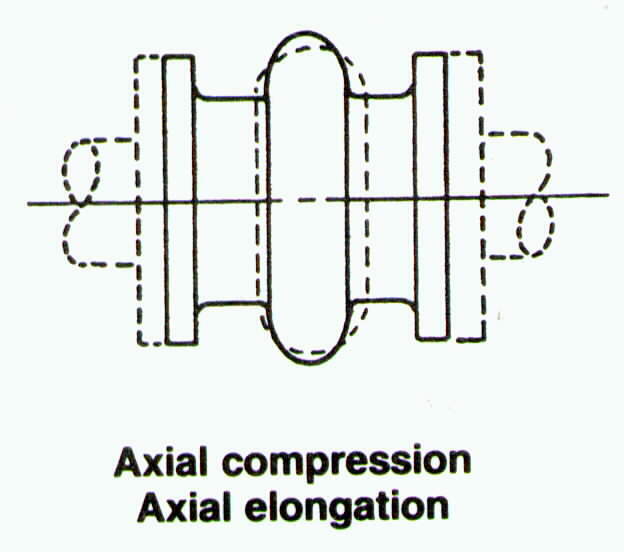 Galvanized steel retaining rings are used with all expansion joints having integral rubber flanges. They provide a metal backup ring behind the rubber flange which forms a seal when the bolts re tightened. The rings are split to facilitate easy installation. 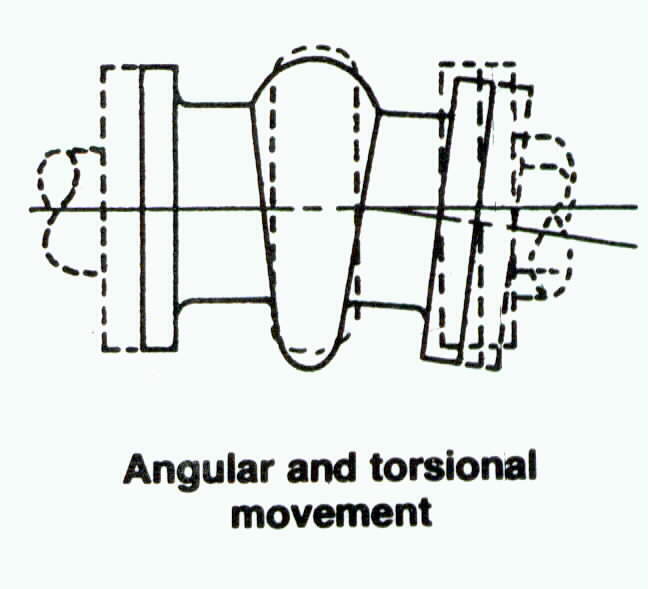 One set, consisting of rings, is optional with each flanged unit. 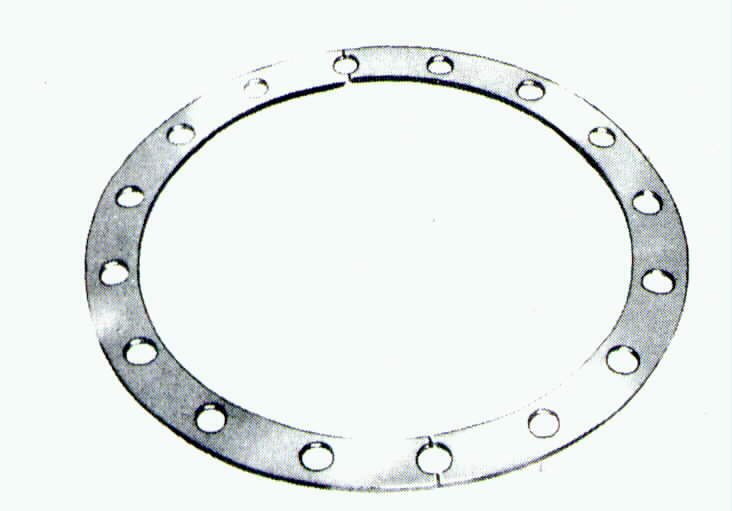 Steel washers should be inserted at the bolt holes where the rings are split. The retaining rings are split into two segments in sizes up to 10"; four segments in sizes up to 24". All rubber expansion joints and pipezorbers installed in piping MUST BE rigidly anchored on both sides of the joint or connector. 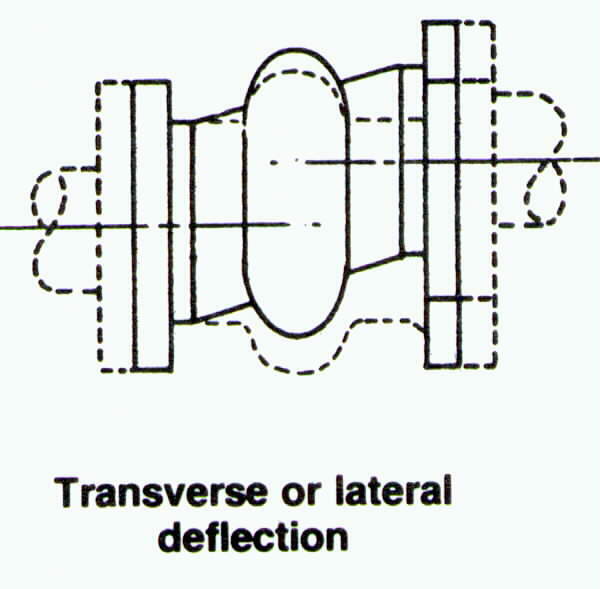 The anchoring must be capable of withstanding the line thrusts generated by the internal pressure or wide temperature fluctuations. If it is not practical to install anchors, control rods must be ordered.